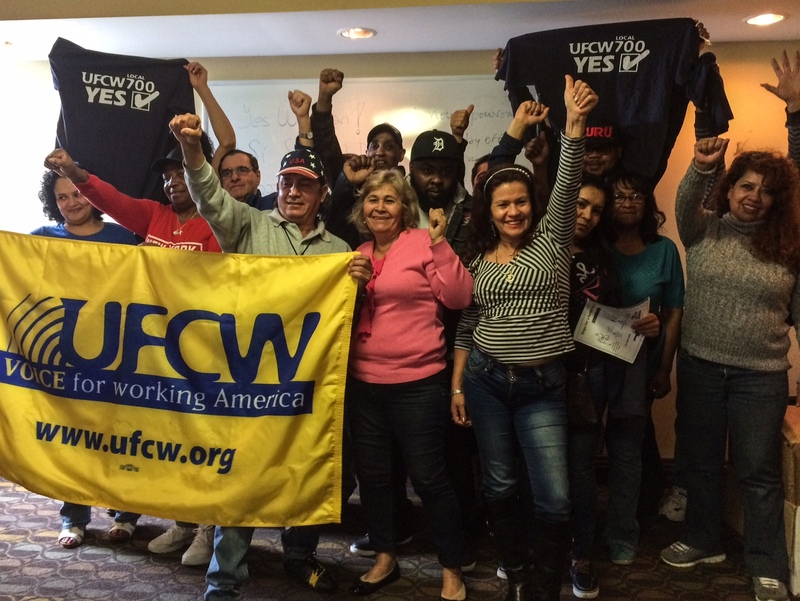 After fighting for years to win their union, workers at Chartwells approved their first contract! About sixty people work in cafeteria services at Anderson University; they are employed by Compass Group, a major corporation that manages vending machines and cafeteria staff for mostly schools, private prisons, and large workplaces. Like too many other companies across our state, and the country, it was becoming harder for workers at Chartwells to get by. Their benefits were cut and wages were stagnant. They joined together to form a union. The workers’ first election was overturned due to employer violations following an NLRB hearing and trial. Subsequently, the company agreed to card check, or voluntary recognition. Voluntary recognition means that the workers must not hold another election, but rather that when a majority of workers have filled out union cards, the employer recognizes the union to negotiate a contract. Workers at Chartwells met and completed bargaining surveys in order to develop a list of priorities for negotiations. A Union Bargaining Committee met with the company over the course of a few months and finally reached a tentative agreement for a first contract, which was recently approved. The new contract includes regular, guaranteed wage increases; advance notification for scheduling; paid time off (vacation and holidays); seniority rights; and affordable quality health care. Part-time workers now have provisions for funeral leave; paid time off, including vacation and sick days; and holiday pay. Congratulations to workers at Chartwells for joining our union family, and coming together to negotiate with their employers for the kind of wages, benefits, and working conditions that help to build better lives. UFCWMembers of UFCW Local 700 approved a new three-year contract for over 8,000 Kroger workers in the Indianapolis area. The new agreement includes guaranteed wage increases; improves contract language; secures quality, affordable health care; maintains employee weekly contributions; and protects retirement security. These contract gains are in addition to new, higher wage scales and advance scheduling provisions approved by members last year. Because of the new wage scales, employees earn bigger raises moving through each step and reach the top rate sooner. Those new brackets were effective November 15, 2015. Members of UFCW approved the creation of the UFCW Consolidated Fund in 2011, which provides and guarantees pension coverage through 2021. Should you have specific questions, please contact your Union Representative. On May 5, hardworking men and women at a ConAgra plant in Indianapolis voted to join the UFCW union family and become part of UFCW Local 700. Nearly 300 workers make Marie Callendar’s pies at the plant, which was formerly owned by another company and purchased by ConAgra about three years ago. Organizers handbilled the plant and learned about the issues most important to this diverse group of workers: better pay, fair treatment, and respect on the job. UFCW Local 700 represents about 300 workers making Reddi-Wip and margarine at a ConAgra plant less than three miles away from the newly organized facility; at the union plant, workers earn higher wages, have better benefits, and have job security through their union contract. Your UFCW Local 700 Union Bargaining Committee reached a tentative agreement with the Company for a new Indianapolis Kroger contract. The proposed three-year agreement includes guaranteed wage increases; improves contract language; secures quality, affordable health care; maintains employee weekly contributions; and protects retirement security. We were able to complete bargaining more quickly than normal because we agreed with the company to open the contract early and negotiated wage increases in November 2015. 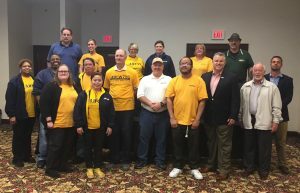 Members of UFCW Local 700 working in Indianapolis Kroger stores approved the new wage scale and improved scheduling provisions. The new pay rates were effective November 15, 2015. Because of the new wage scale, employees earn bigger raises as you move through each step and reach the top rate sooner. Additionally, members of UFCW approved the creation of the UFCW Consolidated Fund in 2011, which provides and guarantees pension coverage through 2021. Details of the proposed agreement will be available in stores on Monday, May 9, and Tuesday, May 10. Members may vote on the contract in stores on Wednesday, May 11; voting schedules will be posted in stores on Monday, May 9. Your UFCW Local 700 Union Bargaining Committee recommends a YES VOTE for approval of the proposed agreement.